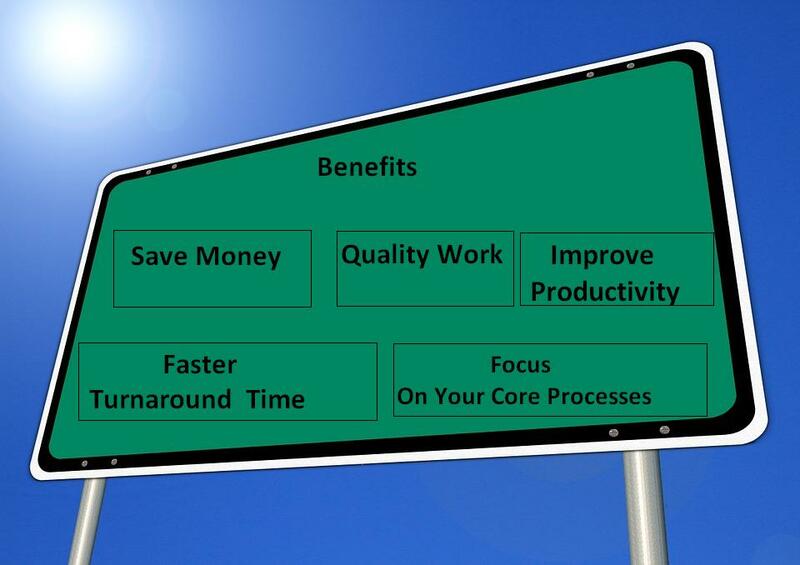 When you are running a business, you not only need to take care of the core processes but many other processes as well. These ‘other’ processes are extremely important as you need them for your core process. However, you may not necessarily have the expertise to carry out these processes. For instance, you may have an eCommerce company selling various products and you may require data entry services. Selling shoes online is your core job but not the data entry. So, the best way is to outsource this job to a company whose core job is data entry. Here is how you will be benefited by outsourcing the data entry services to India. Data entry could require great deal of man work. If you are thinking about establishing an in-house team, you will need to hire lots of employees (depending upon the size of your business). You will need to set up the infrastructure for them. You will need to rent the office space for your data entry employees. This can cost you a lot of money. However, the outsourcing companies have everything ready. So, it saves you money significantly. The employees of the outsourcing companies are well trained to take care of the data entry job. They are trained only for this type of job. This is the reason why they know how to handle the data entry services. This means that if you have outsourced to a reputed company, there is the assurance that you will get the quality work with minimum errors. The outsourcing companies also have their internal quality control systems. This further ensures that you receive the work only when it has been quality checked. As mentioned above, every business has core processes and additional processes. By outsourcing the additional processes like data entry services to another company you are able to take sidestep the hassles. This gives you the freedom to focus on the core processes that have the direct impact on your profits. The outsourcing companies offer faster turnaround time. This is because they have no other process to focus on as data entry is their core job. Their employees are trained well so that they can provide quality work and high efficiency. Also, when the burden is taken off the shoulders of your employees, they get more opportunity to get creative. India is 10 to 12 hour ahead of countries like US. This means that the data entry services are usually provided after working hours. This has the direct impact on productivity. With faster turnaround times, quite a lot of data is available to you to work on before the next working hour.